The Welsh created the NHS, modelled on miners’ mutual aid schemes. They have so far strongly resisted attempts to return healthcare to market competition. Since devolution a new generation of socialists has been quietly running NHS Wales as a public service - not for private greed. And for this reason, the Welsh NHS is now under attack from a propaganda Blitzkrieg. 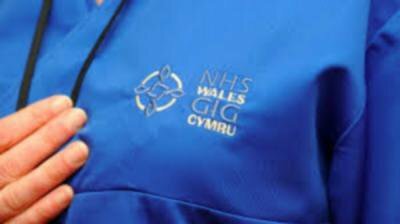 The crescendo of political and media attacks on NHS Wales are light on evidence. So why do we hear hardly a squeak of dissent from the opposition front bench in Parliament, to defend their own Party in Welsh regional Government? Nine out of 10 patients who used Welsh hospitals and GPs last year were satisfied or very satisfied with their care. In contrast across Britain as a whole only six out of 10 respondents said they were satisfied with the NHS (a sharp decline from peak approval of 71% in 2007). Why is Labour not pointing this out? In the English NHS central planning has virtually disappeared. Each hospital is supposed to compete with its neighbours for survival. Every state service must compete with other services for its share of the budget. Labour's regional government in Wales, on the other hand, still believes that public services should be centrally co-ordinated and planned towards shared social goals. If a local hospital is performing badly, people in Wales still expect state action to improve it, not personal choice to go to a competing hospital elsewhere. Welsh central planning has enabled co-ordinated action across separate institutions and budgets. In Cardiff hospital A&Es and local police share anonymised information, leading to fewer violent incidents and hospital admissions. There is no question that times are hard. The Welsh government has faced disproportionately higher cuts in its centrally allocated funding - 20% across the board, a context many saw as politically motivated to discredit the Labour-led government. Faced with such bitter austerity, the Welsh Labour Government decided not to ring fence NHS spending. Instead it took advantage of its more planned environment to allow it to better integrate health and social care services. As a result, councils’ spending on all services (except education) fell by only 9.3% in Wales last year, compared with 15.6% in England, according to the Institute for Fiscal Studies. But key indicators for Wales NHS are moving strikingly in the right direction as a result of improved working across primary community and acute healthcare and social services. In Wales, emergency hospital admissions of people with chronic conditions fell sharply in 2011-12, by almost 15% for diabetes and 17% for lung diseases. Similar falls were not seen in England. In Wales, re-admissions for these diseases (probably the best single measure of clinical failure) dropped even more steeply, by almost 30% and 25% respectively. This success was so obvious that in May 2013 NHS England announced its intention to integrate all NHS and social care services by 2018, without of course acknowledging that Welsh Labour was already doing it. In Wales there is one minister with overall responsibility for both the NHS and Social Services. There are strong democractic Local Health Boards and the still powerful role of the Chief Medical Officer for Wales. In England, in contrast, the Health Secretary now has no responsibility to secure a comprehensive health service, the Chief Medical Officer role has been marginalized to the point of invisibility, the whole public health system is in tatters, and Public Health medical staff are streaming out of the service. Why the panic about the Welsh NHS? Last year ‘death rates’ in six Welsh NHS hospitals were said to be much higher than the English average. NHS England’s Medical Director Sir Bruce Keogh felt compelled to ask his opposite number in Wales to set up an enquiry. He did this in confidence; and so, of course, it was sought out and broadcast. Patients enter hospitals because they are sick. Some of them die, either while still in hospital, or after they have returned home. Outcomes depends on age, the type and degree of sickness, differences in provision of home care, and differences in where patients want to end their days. The proportion of all deaths occurring in hospital throughout UK varies from 45% to 60%. If hospitals are compelled to compete in league tables for mortality, they may find ways to admit more people at lower risk and avoid those at higher risk of dying in hospital, or send patients home sooner, so that they die at home. Similarly the drive to meet A&E waiting time targets can give rise to unneccessary admissions, admitting someone to an already crowded ward solely to avoid them tipping over the 4-hour target. Politicians and media commentators should be careful what they wish for. Of course there is plenty of genuinely bad news about health in Wales, and some (though much less) about health care in Wales. The Welsh have been poorer and sicker than the English for at least 300 years. They have more of the principal causes of ill-health and premature death: more heavy industry, more unemployment, and lower average earnings. In any public service, there will be a few exceptional cases of bad practice, which should be looked into. If relatives complaining of bad treatment refuse permission for their NHS medical records to be made public, as in the case of Anne Clwyd MP’s unfortunate husband, it is impossible for anyone to judge where, if at all, the NHS failed. Valid comparisons would compare Wales not with UK, but with the North East of England. But the Blitzers don’t care about validity. Any stick will do, to keep Britain on the Right course - to privatisation. Sticking to the 'Right' course in England? In England, Simon Stevens takes over this week as Chief Executive of the NHS after a stint as President of UnitedHealth Europe, the European branch of the largest private healthcare corporation in the USA. Stevens' background is impeccably New Labour. Blair’s chief health policy advisor, he then helped Labour Health Secretary Alan Milburn to create the ‘market’ that encouraged the takeover of NHS provision by private health companies, justified as ‘competition’ and ‘choice’. In his first speech this week he talked up the "innovation value of new providers". His return to these shores has been enthusastically welcomed by fellow Blair-era survivors, including Blair’s former Political Chief John McTernan. Writing in the Spectator McTernan claims Stevens will be the "perfect partner" for Jeremy Hunt to "save the NHS". Following up on Twitter, McTernan claimed the best argument for more of the Blairite ‘market-orientated revolution’ in the NHS was “NHS England v NHS Wales for starters”. When asked for evidence to back up the assertion of English superiority he merely commented “Seems really unlikely you'll find anyone to defend NHS Wales." The Labour Party has always contained two groups: ‘reasonable’ people who adapt to the world as it is, and ‘unreasonable’ ones who insist on trying to change the world and make it a little more civilised. Let’s call them Collaborators and Resisters. Promising to rescue the NHS from Conservative privatisation, the Blair-era Collaborators helped Labour win the 1997 general election. They then pursued policies of NHS privatisation more vigorously than any Conservative Government had dared. What has been the result of this collaboration? For ordinary voters there is no sign of any caring capitalism to reward their trust. The present opposition front bench in Westminster struggles to resist Tory privatisation. They are faced with accusations that the Tories are only pursuing the Blair/Brown government’s policies towards their logical conclusion - a private service for those who can afford it, supplemented by a bare-bones service of last resort for those who can’t. But their caution in opposing privatisation only emboldens the NHS’s enemies. Another former Blair advisor, Lord Warner, this week offered to save England's NHS by introducing crude direct charges to patients (with the Kings Fund adding similar suggestions later in the week). Warner speaks for the notorious thinktank Reform, which has been trying to shift NHS funding away from general taxation onto sick people ever since it was set up in 2001. Reform and its ilk have never explained why taxing sick people is a better way to fund healthcare than taxing everybody according to their ability to pay. Most people in Wales still understand that very well indeed. So far, the attack on the Welsh NHS has met little effective resistance from Labour at Westminster. Labour should be proud - not ashamed - of its record in Wales. We should all reject the Blair-era voices calling for more markets, ‘choice’ and 'private solutions' on both sides of the border.